Vitamin E is the name of a group of eight fat-soluble vitamins known as tocopherols and tocotrienols. Fat soluble vitamin means your body stores and uses it as needed. There are eight forms of it, E1 to E8. It can be found in vegetable oils. It is important for the proper development and functioning of the body. Very often it is also added to lotions and creams for the skin. It is supposed to help the healing of the skin, after burns and injuries, and lower the risk of heart disease and cancer. It occurs naturally in all plant and animal foods and regulates various body functions. Let’s see amazing health benefits of Vitamin E.
Wheat germ oil and vegetable oils are the most potent food sources. Others foods rich in Vitamin E are Sunflower seeds, peanuts, olive oil, coconut oil, Sunflower oil Plant oils, Milk, butter and cheese. Meat, egg and poultry, olive, broccoli, avocado, hazelnuts, Kale, turnip green, spinach, Papaya, mustard greens, Swiss chard, Parsley, Pine Nuts, raw seeds, almonds, Peanut, walnuts. Vitamin E also supports your immune system, helping your body fight off pathogens, an effect that might be especially important as you get older. 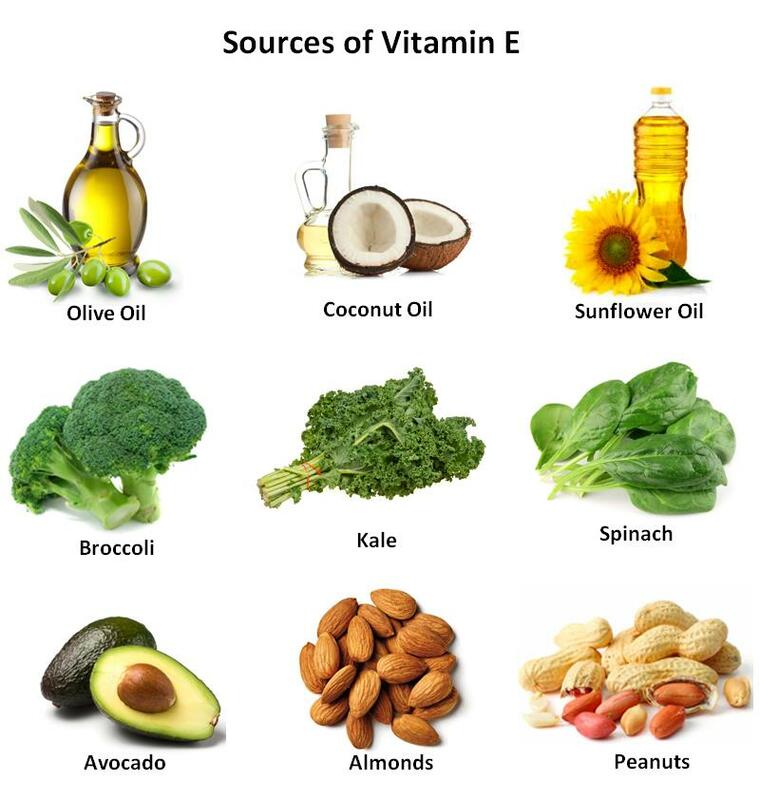 The body also needs vitamin E to help keep the immune system strong against viruses and bacteria. In recent years, vitamin E supplements have become popular as antioxidants. It is an antioxidant, which may help protect your cells from damage, and it might aid in lowering a variety of health problems. It is also important in the formation of red blood cells. It reduces cholesterol and the risk of developing cancer. Vitamin E may play a role in preventing chronic diseases such as heart disease and cancer. Prevent Kidney problem in children. It commonly associates with the health of the skin and is very important for skin health. Unusual weakness or tired feeling. Problems with ovaries in females or testes in males. Eating vitamin E in foods is not risky or harmful. high doses of vitamin E might increase the risk of bleeding and serious bleeding in the brain.